EXCLUSIVEDoes Camila Cabello’s Dream Boyfriend Sound Like Austin Mahone? We've kind of been obsessing over the fact that Camila Cabello and Austin Mahone could possibly be dating for months now — they would seriously be such a cute couple! 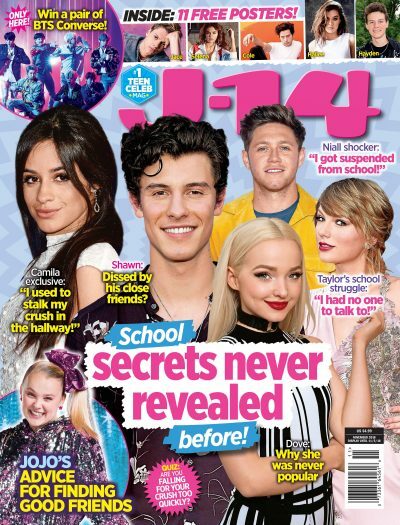 J14.com had a chance to talk with the Fifth Harmony singer EXCLUSIVELY about what qualities she looks for in a guy, and we have to admit her answer sounds a lot like Austin! "I feel like every girl deserves somebody that makes her feel like a princess and makes her feel wanted," Camila says. "If a guy makes you feel insecure and you think you have to prove yourself to him – bye! Next one. You should never have to try to prove yourself to anybody." Camila also revealed that when she goes out with a guy she expects her date to be a perfect gentleman. "I do like chivalry and when boys pay for me when they take me out on a date," she explains. "It's a nice gesture, you know what I mean?" Austin is definitely a sweet guy, which we can clearly tell from his heartfelt songs and music videos. We bet he paid for the movie date that the two stars went on earlier in the year! What do you think about Camila's ideal guy qualities? Does Austin fit the description? Tell us in the comments!